Breakfast really is my favourite time of the day, but for most of us the morning rush prevents us from getting something really substantial (and delicious) into our bellies before starting a full-on day. Even if your full-on day consists of tree decorating, you need something filling and slow-energy releasing to keep you going. Bircher muesli has been one of those meals that I’ve heard a lot about, not really understood, and not really tried before, but then Dorset Cereals got in touch and asked if I’d like to try out their new 30 Minute Bircher Muesli Mix – where you can enjoy a bowl of soaked yummy oats in under half an hour or overnight if you’re super organised! 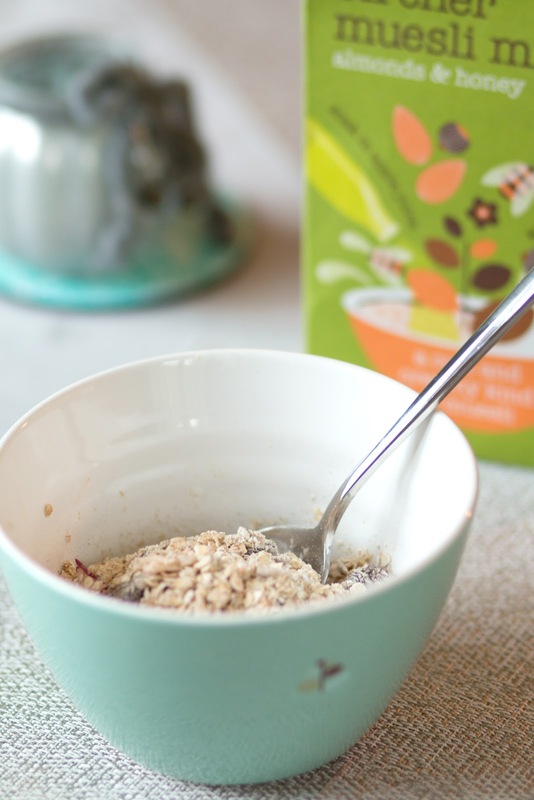 If you caught my Blogger Haul video, you’ll have seen I’ve been trying out the Almonds and Honey version as well as the Raspberry and Blackcurrant mix, and for a quicker lighter alternative to porridge it’s pretty darn good. 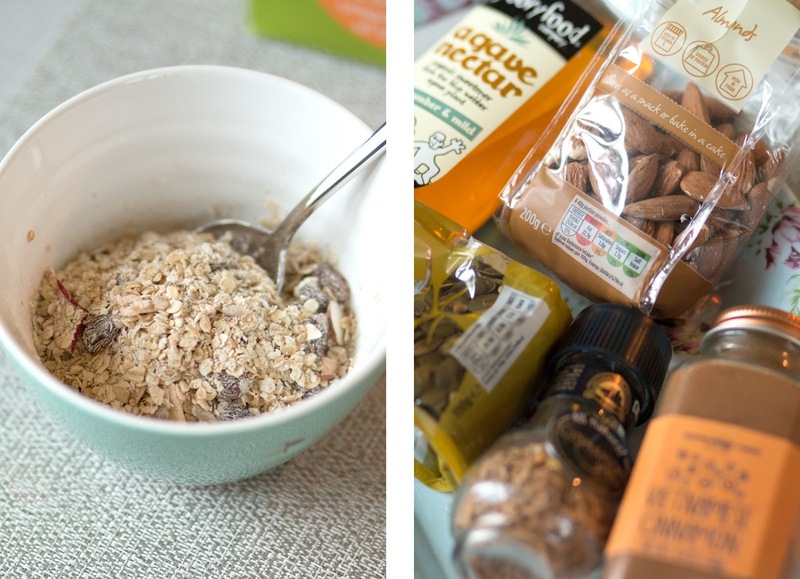 The basic premise behind this breakfast bundle is that you can enjoy a delicious substantial breakfast in 30 minutes whilst you prepare yourself for the day, throwing together the muesli, milk and juice into a bowl and letting it soak as you soak yourself in moisturiser, shower gel or makeup in the morning. Personally, I like the Almond and Honey mix for a less sweet fruity taste however the oats are still quite sweet for me so I like to mix in some plain oats to tone it down, before adding in a splash of Apple and Ginger juice and Hemp Milk for creaminess. A shake of cinnamon for that festive flavour, and some extra Pumpkin Seeds and Almonds for toppings, and then I’m done! By then, I’ve made a cup of tea, tidied the kitchen, opened all the curtains and got my skincare on, to which I return to a lovely bowl of soaked oats and delicious flavours to enjoy in the morning. Ahhhh breakfast you’re my fave. 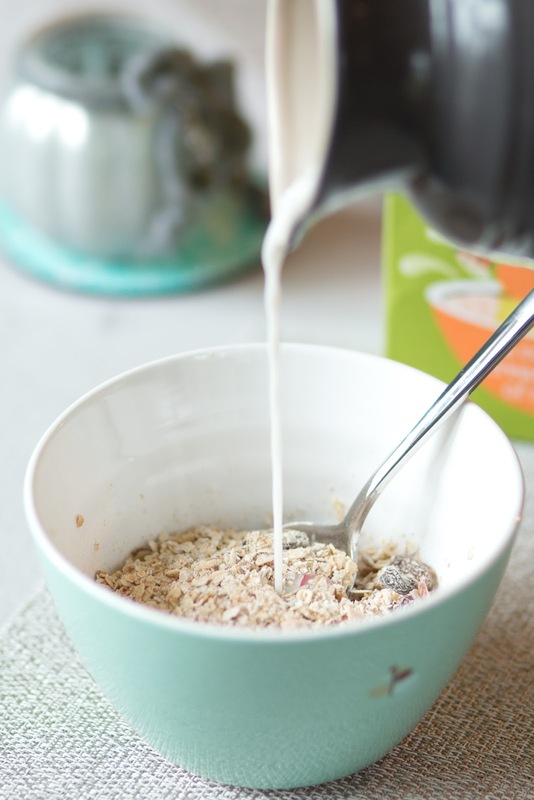 So with all the festive frantic vibes, give yourself an extra 30 minutes to enjoy a delicious breakfast with Dorset Cereals and make time for something substantial and satisfying. Are you a fan of muesli? What is your go to substantial breakfast? How would you spend an extra 30 minutes? Next Post CHRISTMAS GIFTS + GIVEAWAYS!